Do you find it hard to leave San Francisco, because it's so beautiful and has so much to do? 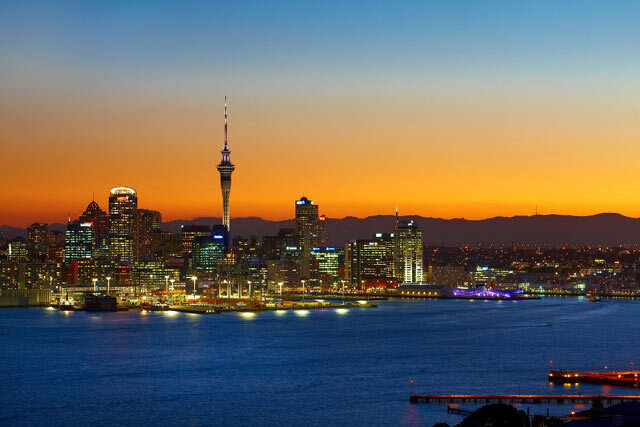 Well, Air New Zealand has a great reason for you to check out another gorgeous city with bridges, sea lions and nature nearby: There are now daily flights from SFO to Auckland. And here's why you'll be ready to plan your trip to the City of Sails. JUMP RIGHT IN The heart of Auckland lies between the Tasman Sea and Pacific Ocean. One of the best ways to see the urban metropolis below and the stunning vistas is to take a trip to the top of SKYCITY's Sky Tower. At 1,076 feet tall, it's taller than the Transmerica Pyramid (which is "just" 853 feet tall) and you can ride up to the 721-foot level. The view stretches to 50 miles away! You can even jump from the 630-feet level—according to SkyJump, "You’ll fall very fast (approximately 53 mph) for around 11 seconds, and then come to a very smooth landing in the Sky City plaza below." 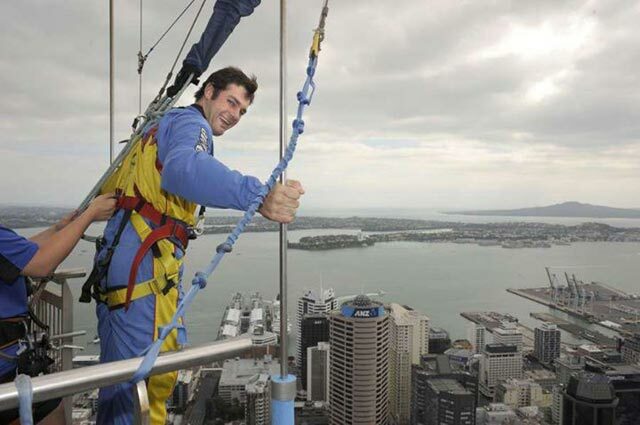 Plus, you'll have bragging rights of jumping off the tallest building in the Southern Hemisphere. There's also bungy jumping off the Auckland Bridge. WALK ON VOLCANOES Auckland is also home to many beautiful parks. Stunning Mt. Eden Park is actually atop the highest volcano in Auckland (643 feet high). There are 360-degree views of the city and harbor from the top and there's also a huge crater, 164 feet deep, within the cone. 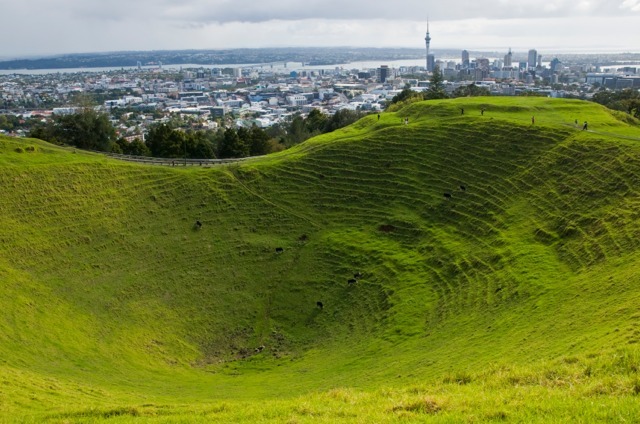 Auckland Domain, the city's oldest park just outside of downtown, is built on the cone of an extinct volcano (you can see its "tuff rings" in the land). It also has beautiful Wintergardens as well as the Auckland War Memorial Museum, which is the rich resource of Maori history and culture. Another great way to see the city is to bike around—there are many bike hires in the city. There's also kayaking in Mission Bay (yes, there's a Mission Bay in Auckland too!). GET TOGGED UP Looking to add some Kiwi style "togs" (clothes) to your wardrobe? 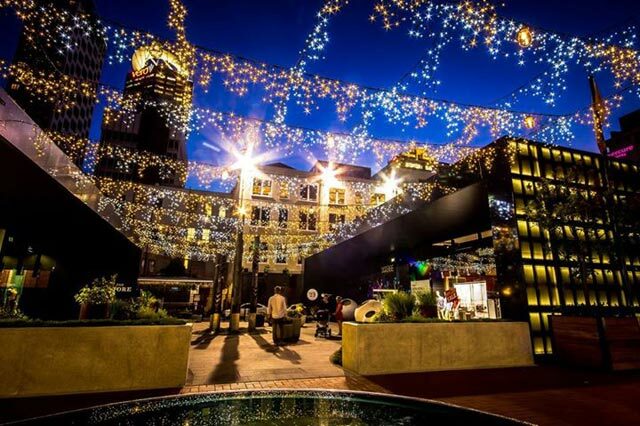 Then head to Vulcan Lane and High Street, where you'll find designer boutiques. For emerging designers, check out the Britomart Precinct, which is a mix of historic and new buildings on the waterfront. And when you need a snack, there are plenty of cafes and pubs for a glass of wine and a bite to eat. You're ready to head to Auckland now, right? Air New Zealand can take you there with daily flights from SFO. As you dream about your itinerary, test your Kiwi IQ to see if you can tell San Francisco from Auckland—there's also a sweepstakes for a chance to win two flights to Auckland!